The Itty Bitty Kitty Committee: What's Better Than a Box? 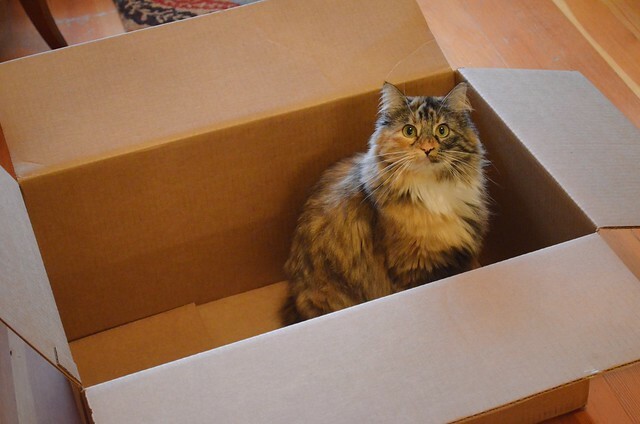 What's Better Than a Box? 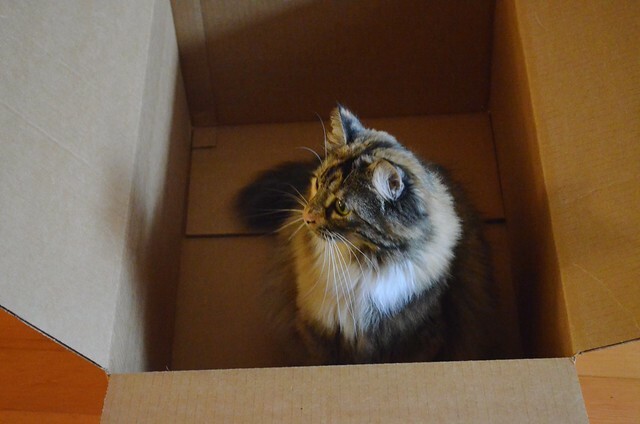 We had a package delivered yesterday and I left empty box in the living room for the girls to enjoy. She spent a good thirty minutes just sitting inside of it, which made her pretty happy. And then I sprinkled some catnip inside the box. The box got even better. My cat, Maya, LOVES cat traps and will spend hours sitting in them, happy as a clam at high tide. 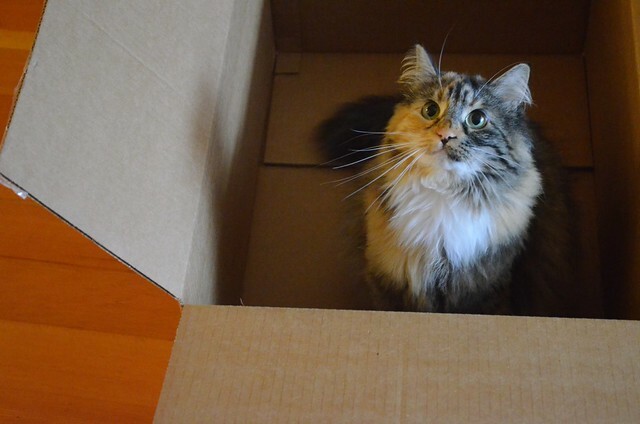 She can be curled up comfortably on my bed, and if you put a box next to her, she'll get up and move into the box. Ah, Wylla, you really are 100% adorable! I just spent 1:15 watching Wylla roll in a box. I guess I do love her. That is one adorable stoner. I wonder if she got the munchies afterward. LOL!!! 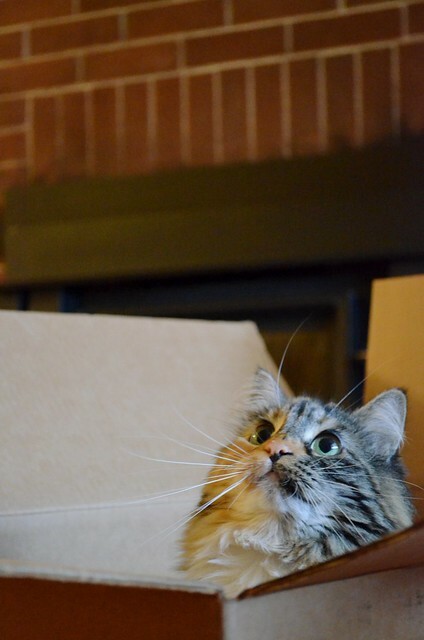 What sweetness :) Wylla is the queen of the box! 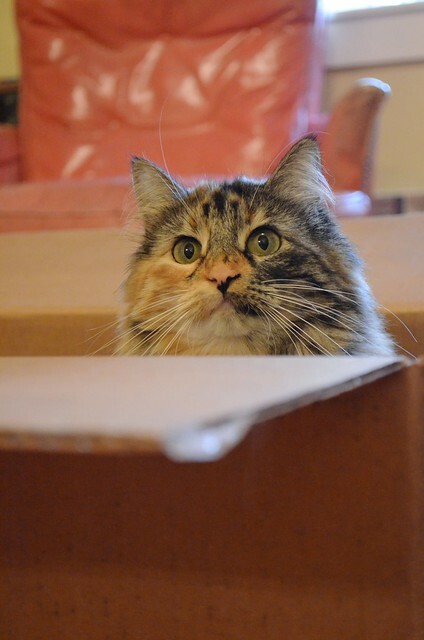 All my cats want to take turns sitting in the box whenever we get something, I don't know what it is about boxes but if it makes them happy then I'm happy! Wylla will always be a kitten, won't she? :) So precious. Ah, the floof! The tummy! The good health! Great job, IBKC!